It has been a busy and fun summer for my family. We have had the best time together… but I have to admit, I’m a little ready for the school year to begin. My youngest starts kindergarten this year, and for the first time, both of my girls will be at the same school. It’s a bittersweet feeling for me, but I know it will be great. 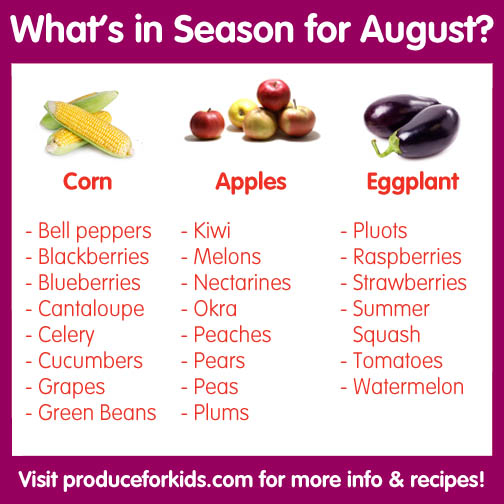 We will be starting to post more back-to-school lunch and meal ideas, but for now, I thought it would be great to show you what’s in season for the month of August. Enjoy! !